Strips that got me in the most trouble...So Far! Want to suggest a strip? 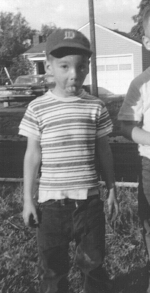 In a world where it is now considered fashionable to be “out of the ordinary” Wes Oleszewski considers himself to be about as ordinary as you can get- thus remaining the ultimate non-conformist (perfect example is this picture of him at age 6). Born on the “East Side” of Saginaw, Michigan in 1957, Wes grew up on the bad side of town, which is a rough translation for the area where the people do most of the working, earning, living and dying. He attended public school, and had a rabid interest in the space program and anything that flew. In 1973, Wes’ family moved from Saginaw to the tiny farm town of Freeland, Michigan. For the next three years, he attended Freeland High School. He graduated in 1976 among a class of 120 students - most of whom never knew much about Wes. In August of 1977, Wes, who had never been farther away from Michigan than Toledo more than three times in his life, left hockey, family, girlfriend, Freeland and everything behind and went to Daytona Beach to attend the famed Embry-Riddle Aeronautical University. For the next decade, Wes worked his way through the university. 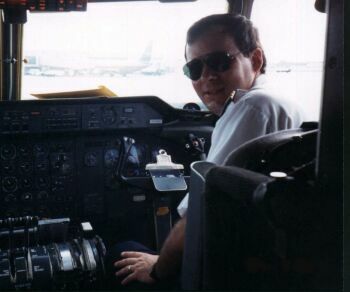 In August of 1988 he graduated earning a Bachelors Degree in Aeronautical Science with a commercial pilots certificate, multi engine land, as well as the university’s Student Leadership and Involvement Award, which is given to a single student in each graduating class, and a special award for “10 Years of Outstanding Service to the University By Way of the Klyde Morris Cartoon Strip”. He financed 100% of his education through earned income and what ever student aid he could scrape up. He also negotiated the first, and perhaps only, full flight fee and tuition contract ever awarded by the university. 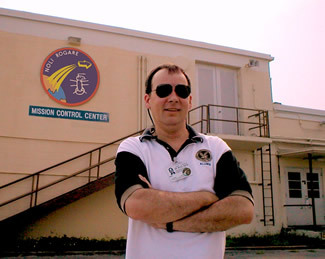 Additionally, Wes served as chief pilot to the university’s Precision Flight Team and was the founder of the Student Alumni Association. While attending the university Wes met his wife, Teresa. They were engaged three days later and married on the Embry-Riddle campus at homecoming two years later. University founder, J. Paul Riddle as well as a large number of the school’s administrators and staff attended the wedding. To date, Wes has logged more than 5,000 hours of flight time, most of that being in airline category aircraft.